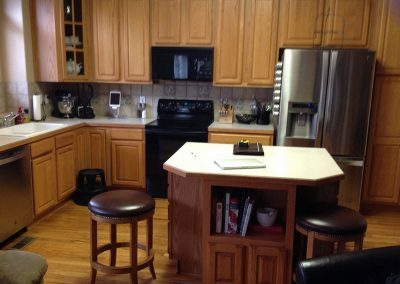 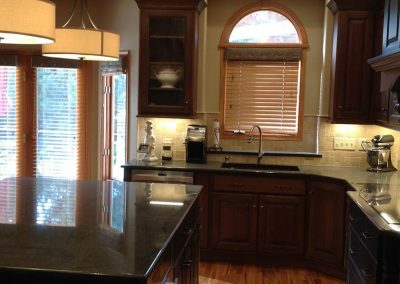 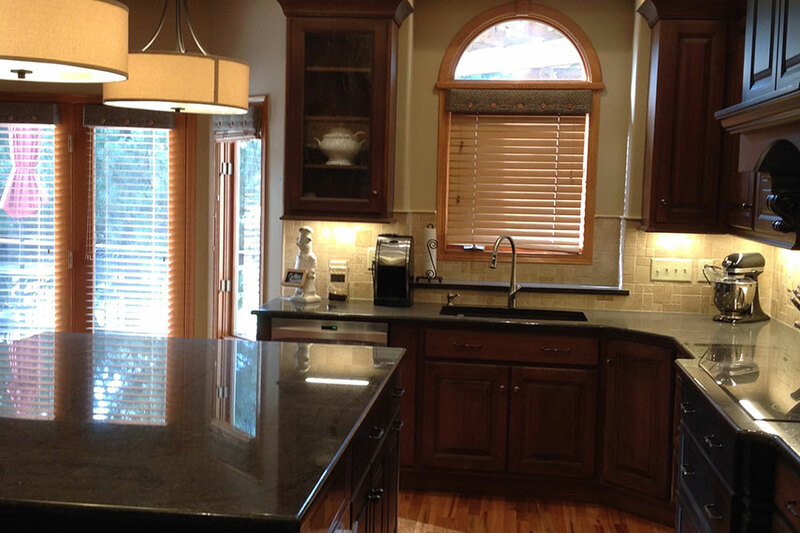 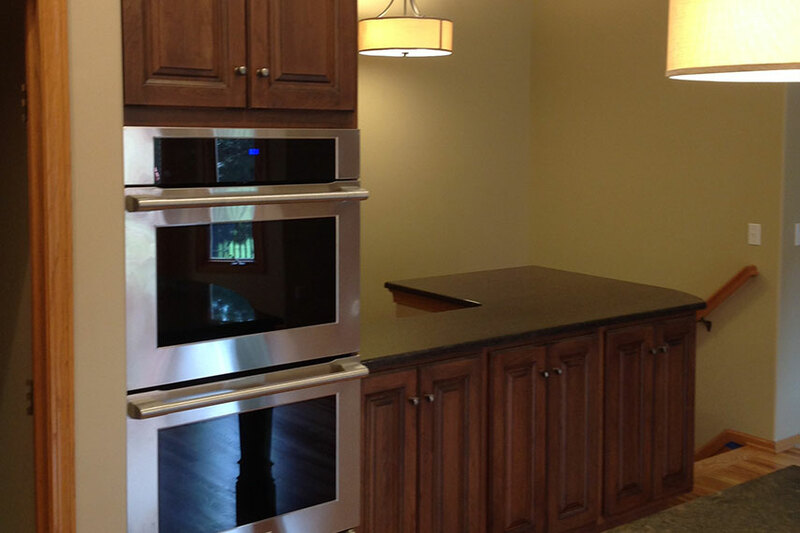 Before – Standard finishes for a distinctive family calls for a remodel. 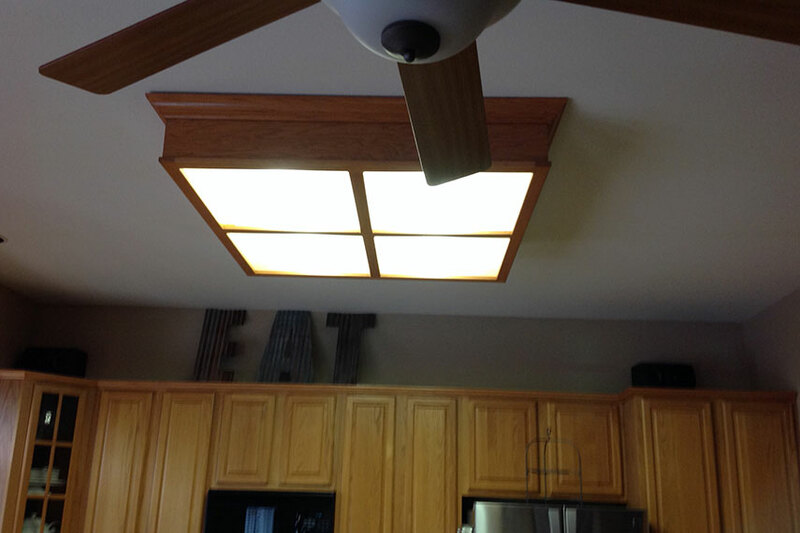 Before – Lighting can make or break a room. 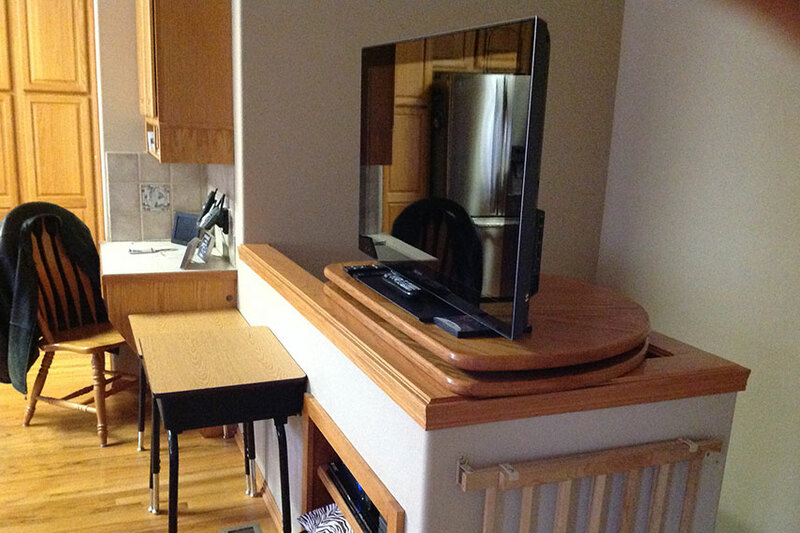 Before – I hope that TV is secured down. 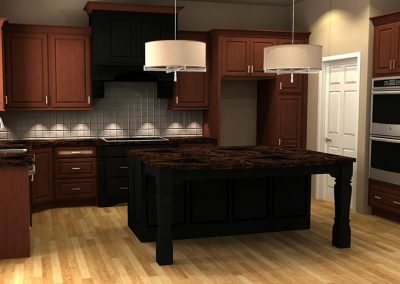 Designer drawings! 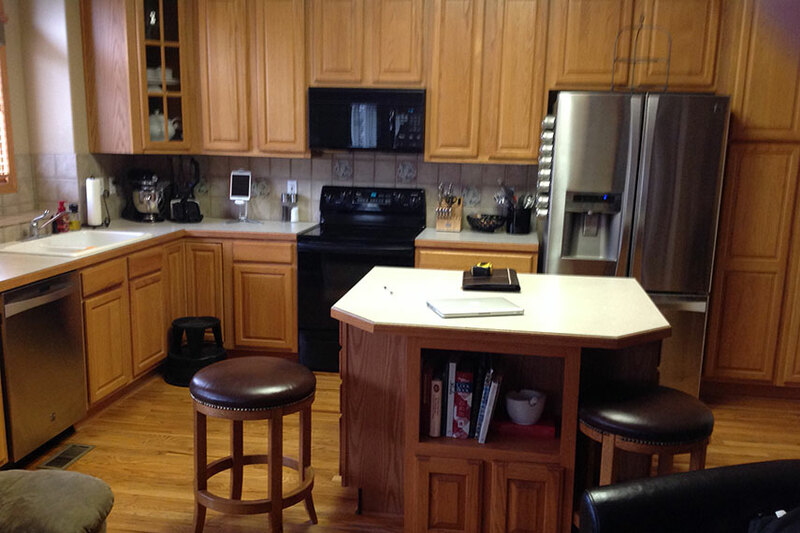 Here’s where the vision for this space came to life. 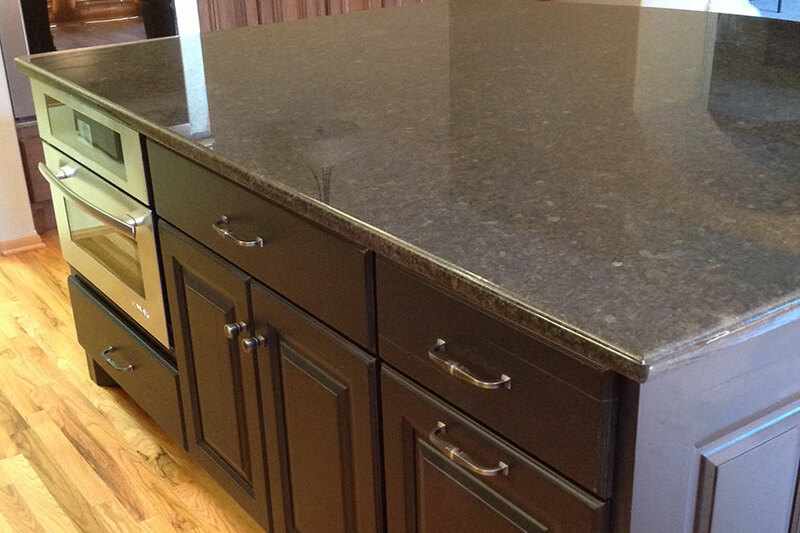 The island is this kitchen’s main event. 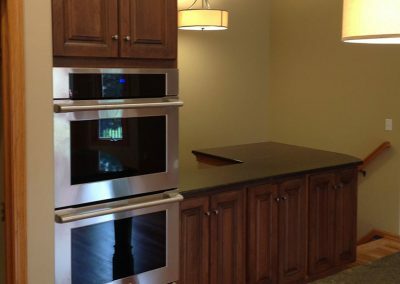 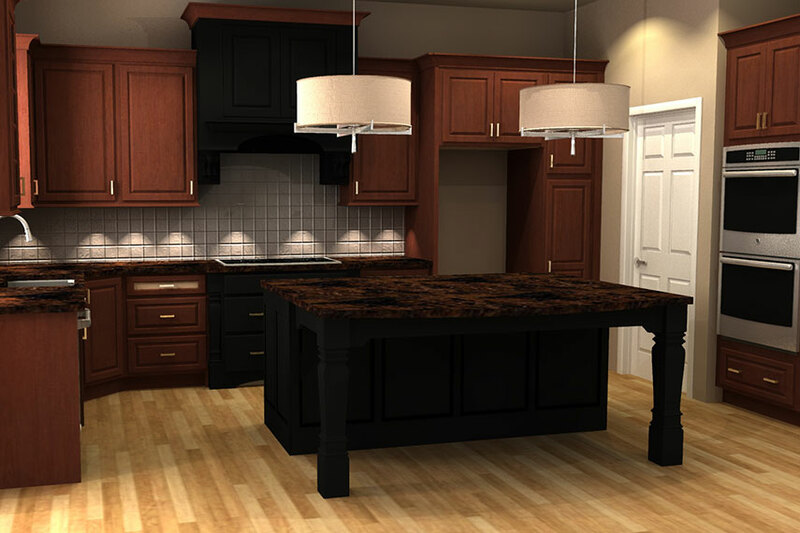 This two toned cabinetry is too lovely. The floating cabinets are glowing with light. 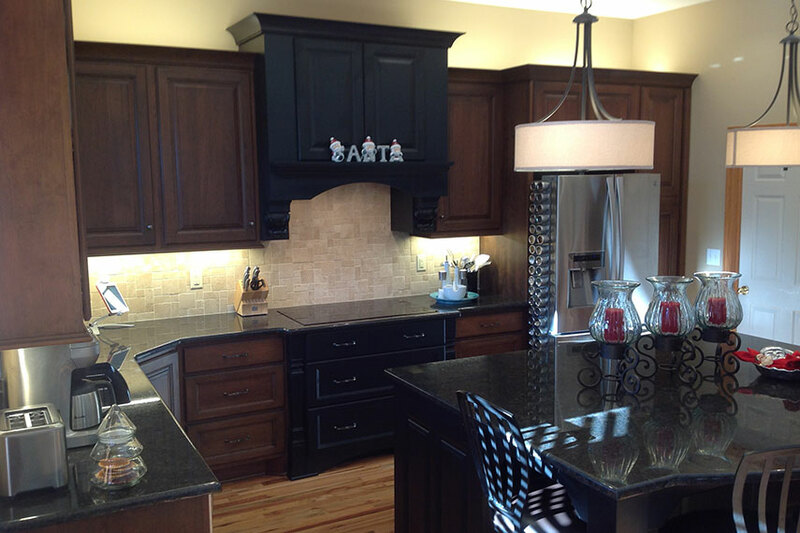 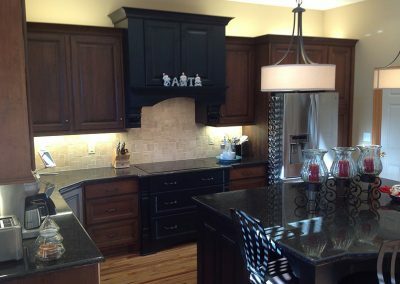 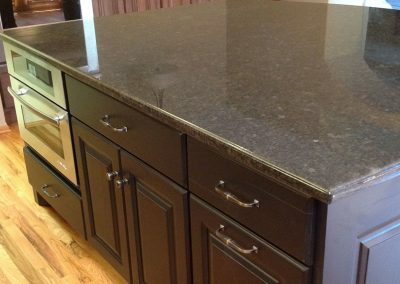 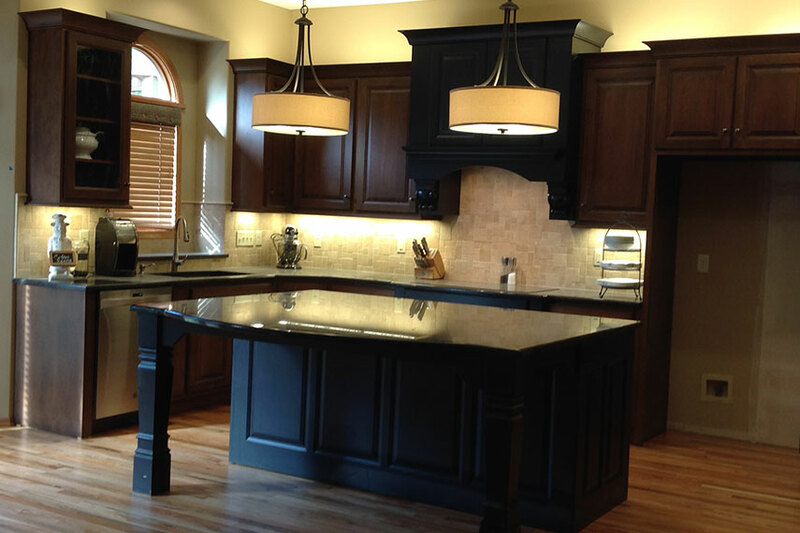 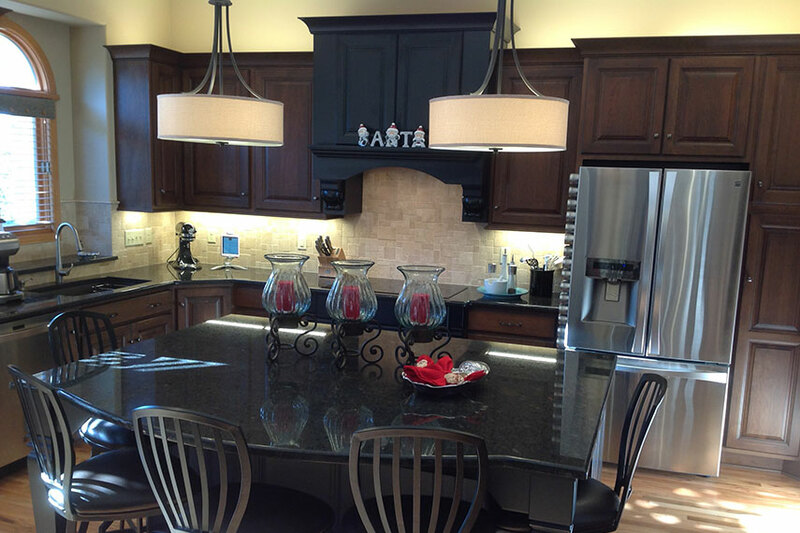 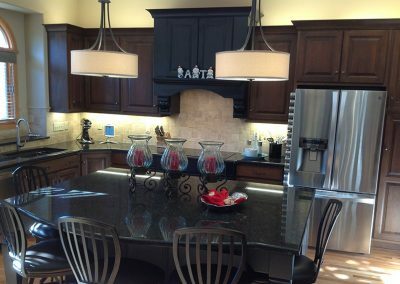 This dark cabinetry is a dream. 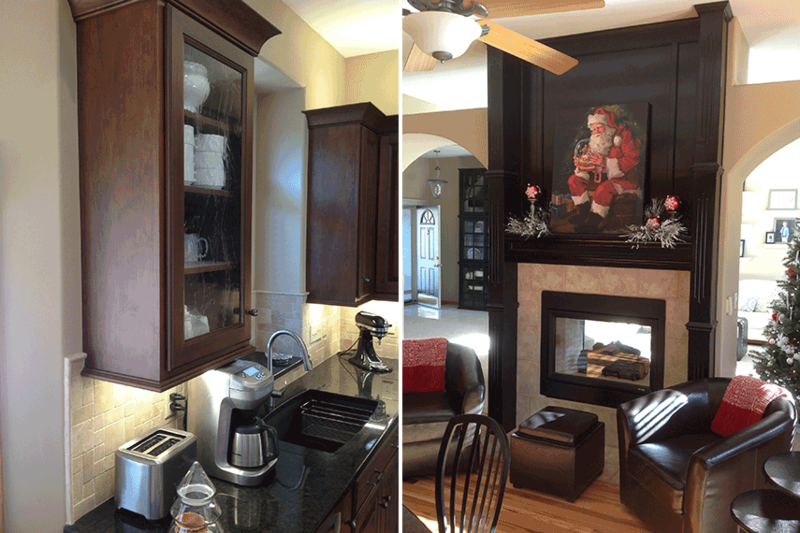 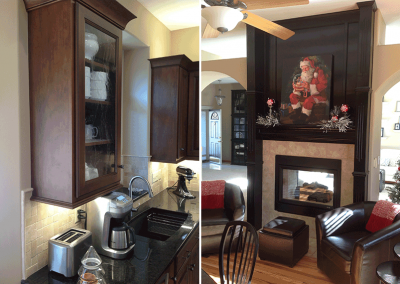 From the coffee nook to the fireplace cove, you can find comfort in this kitchen. 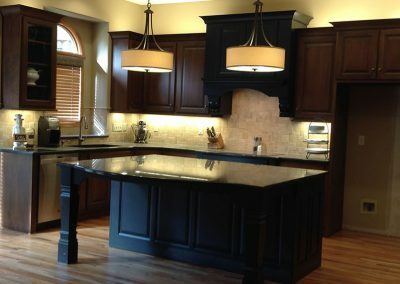 This beautiful island keeps this kitchen functional and unique. 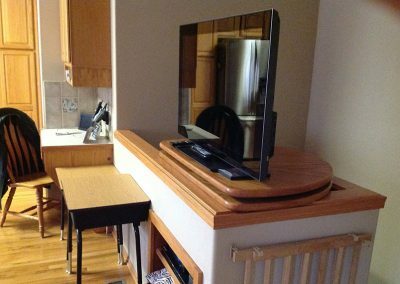 We saved a spot for the TV!